Ever since workmen laid the new pavement on the High Street there appears to be something trying to get out from beneath. Back in March 2010 I was told that ‘the paving stones all have to be relayed as wrong size blocks were delivered‘. 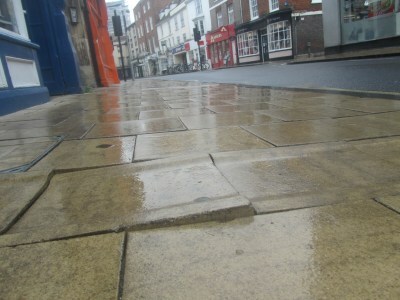 Today I reported this particular lifting wobbly pavement to fixmystreet.com . I can’t remember anything having been done yet. 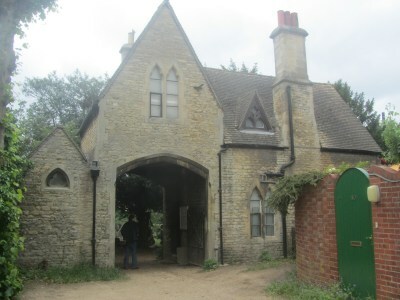 Through an archway off Walton Street in Jericho, Oxford, is St Sepulchre’s Cemetery. 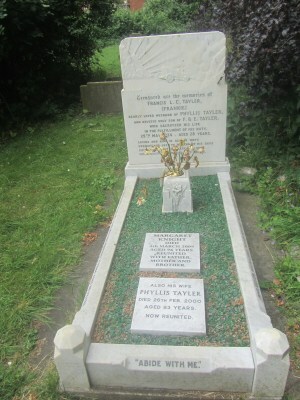 The residents of the cemetery include two masters of Balliol College, the superintendent of Oxford University Press, and many other people. One of them is Frank Taylor (Frankie). There is the image of an MG racing car, made in Abingdon, on his well kept grave. Frankie died in it. The night before an Isle of Man race the world beating racing driver Kaye Don wanted to test out some improvements to his MG. He took along his friend, and mechanic, Frankie. They drove at night without lights, and cornering at 60 MPH hit another car. The MG overturned. 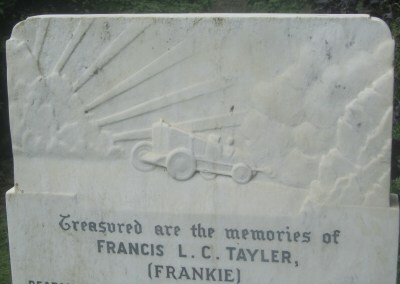 Frankie died as a result of injuries received. Kaye Don was imprisoned for four months for reckless driving and that ended his career as a racing driver. There was song and dance on the Market Place by the Performing Arts Department of Abingdon & Witney College. In the previous two years this event carried on despite heavy rain, and this year there was a wind that took two people to hold the pianist’s music down. What a real character building event this is. The students will be presenting the musical ‘Into The Woods‘ from 14th – 17th June. Tickets £8 and £5. Tickets from Abingdon Campus reception and it is to be performed INSIDE at the college theatre. 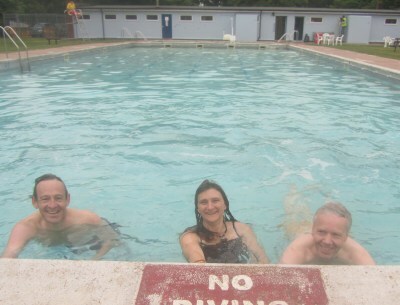 The Abbey Meadow Outdoor Pool opened at 10 am this morning. For this first bank holiday weekend it will be free to all. After that it will be free to under 16s (applications before admission). Young adults will be £3.60 and OAPs £2.30. Season Tickets are also available. 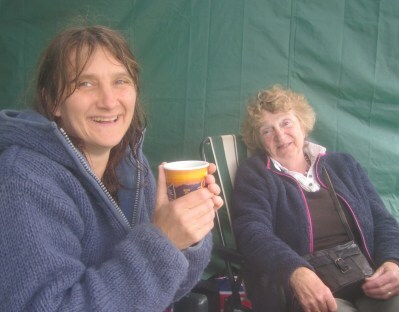 After a swim there is a chance to have a hot drink and snack from the pool kiosk. Pictured are Heather Brown from Choose Abingdon, and Elizabeth Edgecombe of Friends of the Pool. Both have been promoting the pool. The pool will be open until Sunday 4 September 2011. For further information please see www.soll-leisure.co.uk or contact 01235 530678.